Boosting the image of the restaurant and its owner, Marta Gessler. The fair was an element of a year-long promotional strategy. Development of the event’s concept; organisation and promotion of the fair; production and distribution of promotional materials (posters, programme leaflet, “Zeszyt Qchenny” - “Culinary Notebook”); media relations. As a result of the completed activities, the fair was visited by over 3,000 people, and the number of guests at the restaurant increased. The information about Qchnia Artystyczna reached key opinion leaders dealing with culinary themes, Warsaw restaurant-goers and wealthy individuals. 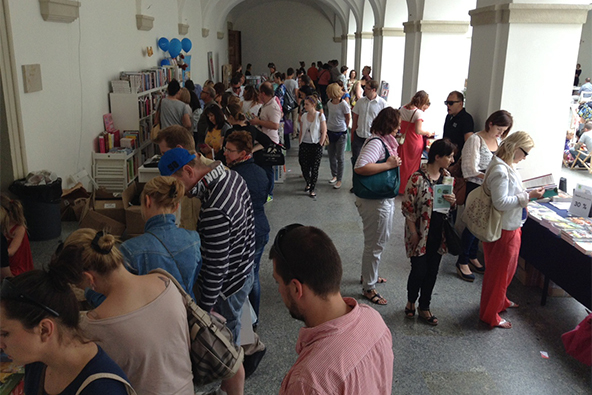 The event’s preparation included cooperation with prestigious media partners (including Kuchnia +, BBC Lifestyle, “Palce Lizać” cooking magazine, “Kuchnia” cooking magazine, White Plate), more than 250 materials published in traditional media (including 20 extensive pieces and interviews), and over 500 materials published in social media channels.